Designed to be the perfect assassin, Kate is as beautiful as she is deadly—everything she touches, burns. The government attempted to engineer a pyrokinetic agent, but their plans went awry. Her power to command fire as a living extension of her psyche exceeded expectations, except for one problem: her skin is hot enough to destroy most materials on contact. Useless for infiltration, they declared her a failure and tried to kill her at the age of seven. Years after escaping, she hides on the outskirts of society in the shadows of East City, hiding under the wing of a Syndicate underboss. Kate kills without hesitation to earn the favor of the only person ever to show her kindness, but her happiness is as false as her holographic clothing. 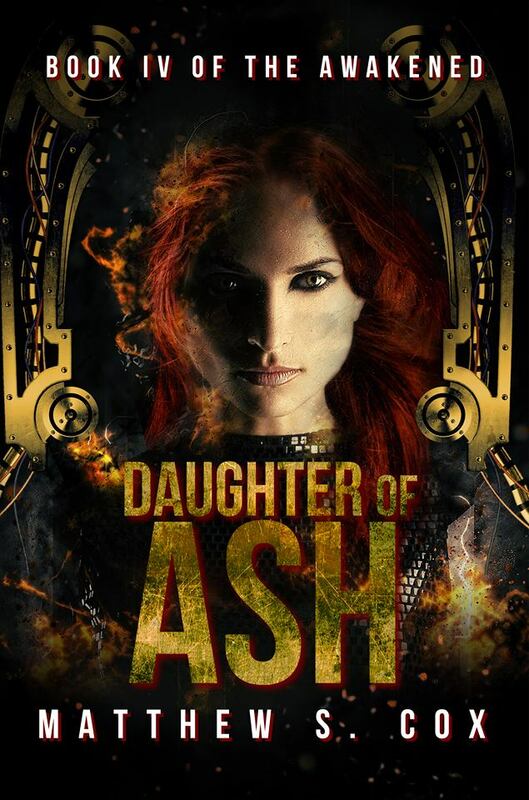 An eerie figure offers end to her curse, if she joins The Awakened—a group of psionics as powerful as she. To find them, she must travel thousands of miles across the country, but with her condition, she can’t exactly fly commercial. Desperate for human contact, Kate sets out to cross Badlands on foot, unconcerned with danger. Cured or dead… Either way she wins.